Vector image collection with various images related to Halloween and horror. Bright colors and cartoon style on all the images. Monsters, text, candy and traditional Halloween symbols and characters. 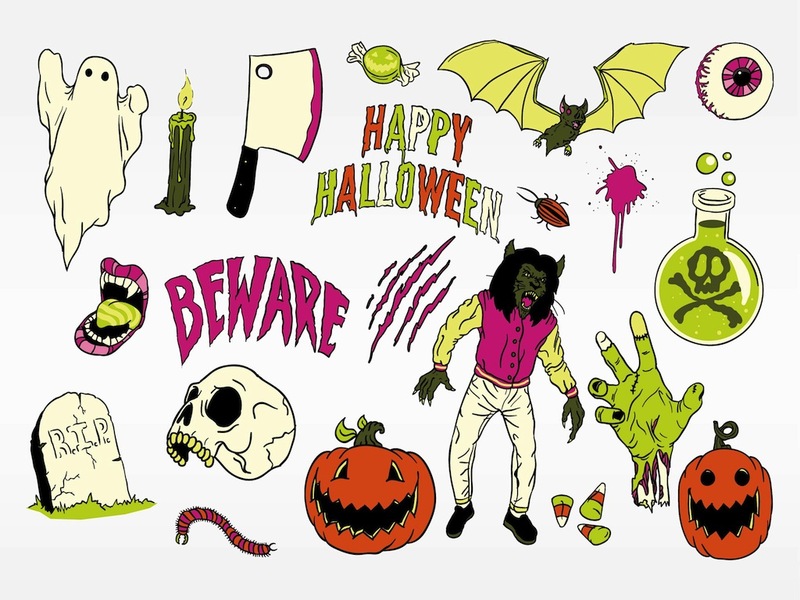 Free vector illustrations for all kinds of Halloween greeting cards, posters and wallpapers projects. Tags: Beware, Candy, Colorful, Decorations, Holiday, Horror, Monsters, Scary.